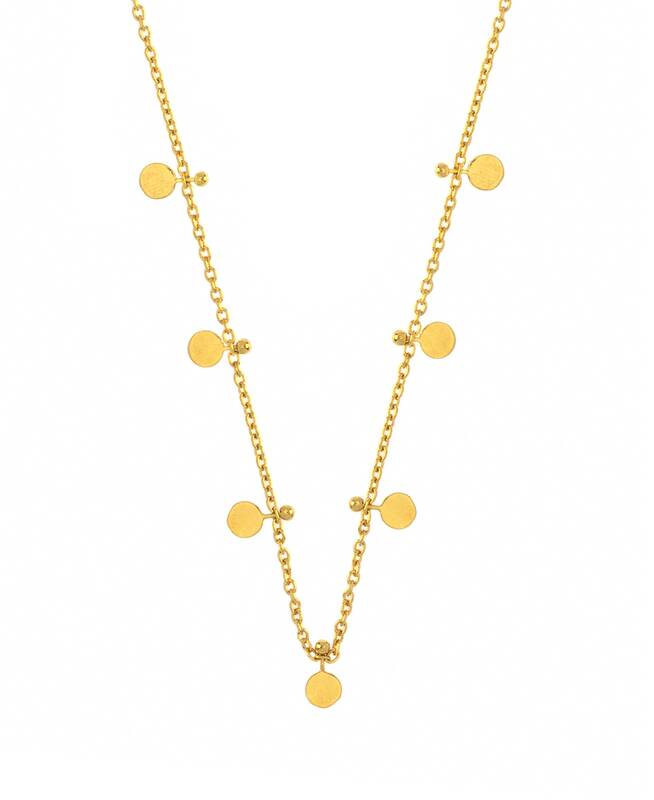 The mini coin necklace has an elegant and feminine look. It is made of 18K gold plated sterling silver 925. LENGTH: 41 CM + 5 CM FLEX.